There are many hotels that portray beautiful finishes and displays. In yesterday’s blog we discussed the elegance of various designs available at the Paris Las Vegas Hotel. 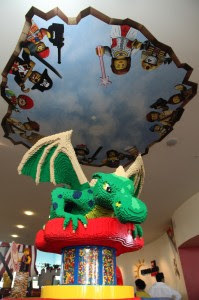 There are also other creative hotels such as the LEGOLAND California Resort. Our spotlight today shines on features that are similar to those in the very kid-friendly and kid-centered LEGOLAND Hotel. One main thing that draws our attention is the hotel room design. 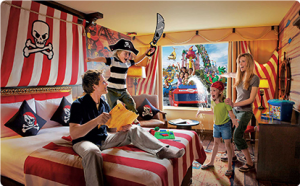 The hotel has over 250 hotel rooms and the resort offers rooms decked out in three separate themes: Pirate, Adventure, or Kingdom-themed rooms. If staying in the pirate themed room, the wooden floors are made to look like planks, with swords, gold coins, and starfish drawings scattered throughout. Walls have pirate-themed trims, pictures, props, or LEGO pieces hanging throughout. The rooms are all kid and adult friendly. Does any of this sound like something you would like your business to look like? Themed rooms, props, murals, and sculptures are all things we are live and breathe here at Smash Design. It doesn’t need to be fancy and elegant like the Paris Las Vegas Hotel, though it can be. If your business is begging for some fun, innovative new designs, call us! We can transform your business.